A federal appeals court in Ohio denied a case brought by exotic pet owners in the state, who had argued that owning wild, dangerous animals should be legal. Despite countless animal advocacy organizations who say that owning exotic pets is not advisable, a group of seven animal owners had sued the state over the regulations last year, arguing that the law violates their free speech and free association rights. According to AP, an attorney for the group wrote in a court brief in August that the owners "believe that private exotic animal ownership, free from government intrusion, should be lawful." Under new regulations imposed in January, exotic animals in Ohio must pass background checks, pay fees, get liability insurance and show they can properly contain and care for the animal. If they can't do these things, they cannot own wild animals (the law does not cover sanctuaries, research institutions and facilities accredited by some national zoo groups). Now, animal advocates are applauding the court's decision. "We applaud the 6th Circuit Court of Appeals for upholding this commonsense statute," said Jonathan Lovvorn, senior vice president & chief counsel for animal protection litigation of The Humane Society of the United States (HSUS) in a statement. 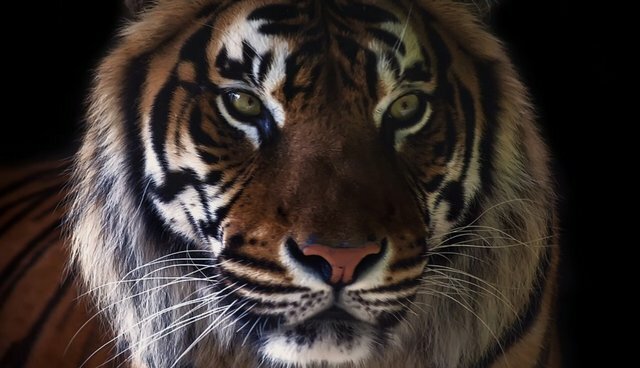 "Private possession of exotic animals like big cats, bears, nonhuman primates, crocodiles and large constrictor snakes poses an unacceptable risk to public safety and animal welfare, and regulations restricting possession of these animals to qualified facilities is both necessary and constitutional." The state is notorious for its historically lax exotic animal regulations, especially after a Zanesville, Ohio man who owned dozens of dangerous animals let most of them free before committing suicide in 2011. LiveScience has a useful infographic about exotic pet ownership by state here. And you can sign a petition calling for a federal ban on keeping big cats and other animals as pets here.